I have a super recipe for you guys today. 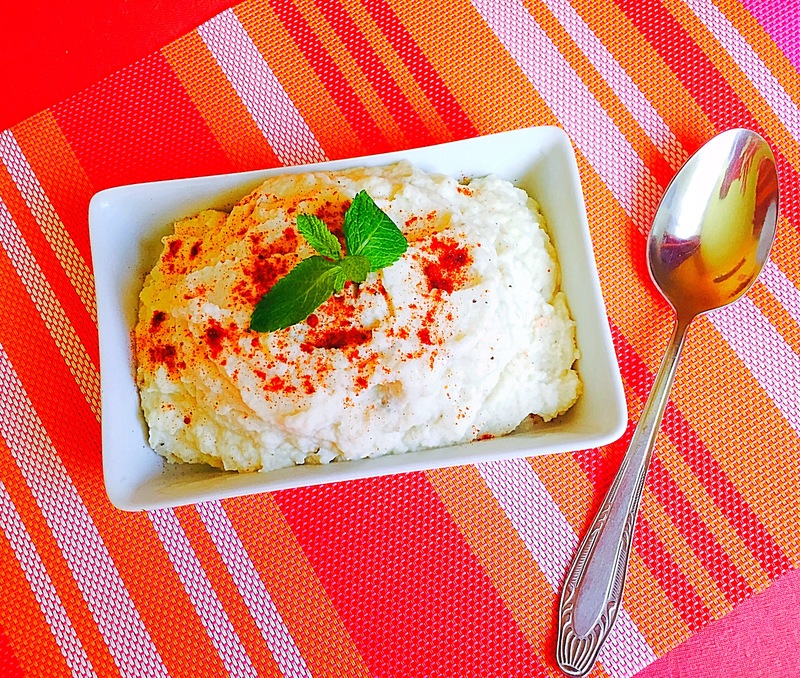 Mashed cauliflower tastes similar to mashed potatoes but with fewer carbs. You can top it with chopped herbs and grated cheese if you like. Add cauliflower and cook until very tender, about 10 minutes. Reserve 1/4 cup of the cooking liquid and then drain well and transfer cauliflower to a food processor. Add the oil the garlic and the reserved water, 1 tablespoon at a time, and purée until smooth. (Or, mash cauliflower with a potato masher). Per Serving: 110 calories (80 from fat), 9g total fat, 1g saturated fat, 0mg cholesterol, 330mg sodium, 8g carbohydrates, (3 g dietary fiber, .3g sugar), 3g protein. Hello my dears! I wanted to write about a detox diet, or cleanse some time ago, first of all because a lots of my clients are asking me what is my opinion about it, is it ok to try it, is it safe, is it healthy. Second because I wanted to try it first and tell you my own experience. JUICEit made this experience possible. They are a Company based in Bucharest. Their juices are 100% natural, cold pressed and delicious. All their ingredients are local, fresh and in season. The juices are made daily and sent for their clients all over the country in the next day. More info about the company here. Firstly let’s see what a detox is. A juice fast is a type of detox diet or cleanse that involves consuming raw vegetable and fruit juice and water for a short period of time. It is considered one of the more rapid methods of detoxification due to the reduced food intake and absence of solid food. A typical juice fast lasts one to five days. Consultation with a health care professional is recommended, particularly for fasts lasting longer than three days or for anyone with a health condition. A juice cleansing is a great way to give our bodies the break they deserve while also keeping ourselves energized and nutritionally sated. Juicing helps you absorb all the nutrients from the fruits and vegetables. First rule, before you start a detox diet, pay attention on what you eat 2-3 days before. Try to avoid fast foods, alcohol, sweets and coffee. Rule nr 2. Consume only juices and water. I received 6 bottle of 500 ml each for the whole day of juicing. These juices are specially created to give your body the nutrients and vitamins for the whole day. Rule nr. 3. Every morning before you start your day, drink a glass of water with fresh lemon juice. When you feel like snacking, drink a tea. Rule nr.4. A detox plan can last from 1 day up to 5 days, but for a person who never did this kind of cleanse, they recommend the 3 day detox program. You will receive your 6 bottles, all of them will have a number on it (for you to know which one is next). Rule nr.5. 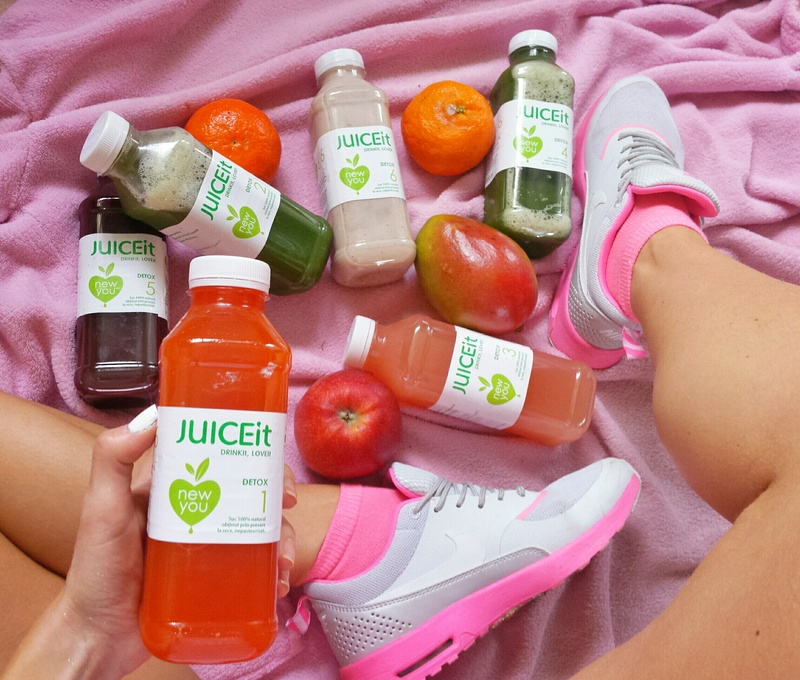 After you finish your detox plan, the company recommends to not to get back on an unhealthy lifestyle immediately. For the first 2 days after the detox try to eat as clean as possible, mostly salads and fruits. 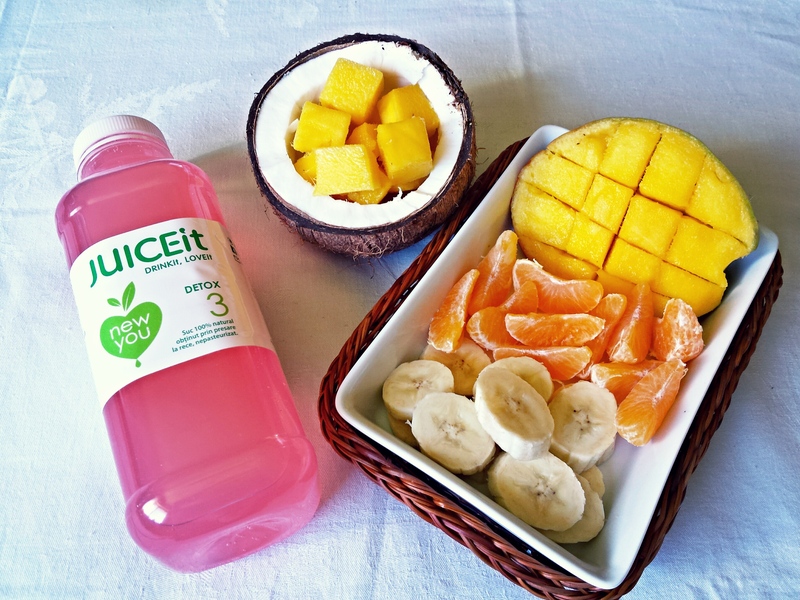 JUICEit offered me the NEW YOU detox program and I have to tell you it was a great experience. Being a very active person, I work all day with my clients doing personal trainings and also teaching aerobic group classes I really need to nourish my body the best way possible. My first juice components were: lemon, ginger, goji berries, cayenne pepper, agave syrup and filtered water. It was very spicy and energizing, perfect for the morning. The next juice components: spinach, celery, cucumber, parsley, ginger, lemon and kale. I think this was the less tasty one of all, but I drink it without any problem. The third juice: grapefruit, pineapple and mint. This one was one of my favorite. I adored this mix of flavors and I felt super fresh after. This was the drink before my aerobic classes. The forth juice: spinach, pineapple, celery, cucumber, ginger, mint and kale. I had this drink during my classes. I have to tell you after this drink I felt super hungry. Maybe because I had 3 heavy classes, cardio, circuit and functional training. I think it’s normal to feel hungry. I have to admit I ate 2 kiwi fruits after the training. The fifth juice ingredients: beetroot, carrots, apple and sea-buckthorns. After drinking this juice I still felt hungry, so I opened the 6 bottle. It was only 8 o clock in the night. The last juice: cashew nuts, agave syrup, dates, vanilla powder, cinnamon, banana and filtered water. This was far the best tasting juice. It was like a banana ice cream shake. In the night around 10 o clock I ate some baby carrots and green salad. I really tried to focus on and not to cheat on this one day of detox, but training so hard I think it made it almost impossible. I recommend this program to everybody, who wants to recharge his/her batteries before spring is here. I definitely believe that you can lose weight by doing this program for 3 days, before an important event like a photo shoot or to fit in a nice dress or wedding or vacation. Unfortunately the peanut butter in the supermarkets is loaded with sugars, sweeteners, salt, hydrogenated vegetable oils, mono and diglycerides, maltodextrin, corn syrup and so on. So that kind of peanut butter can’t be called healthy for sure, it’s actually a caloric bomb! The good news is that making home-made peanut butter is incredibly easy and takes less than 15 minutes. After another 3-4 minutes the butter will start clumping together. It’s not quite peanut butter, but it’s getting there! Continue processing the butter for 2-3 minutes more, until it becomes completely smooth. 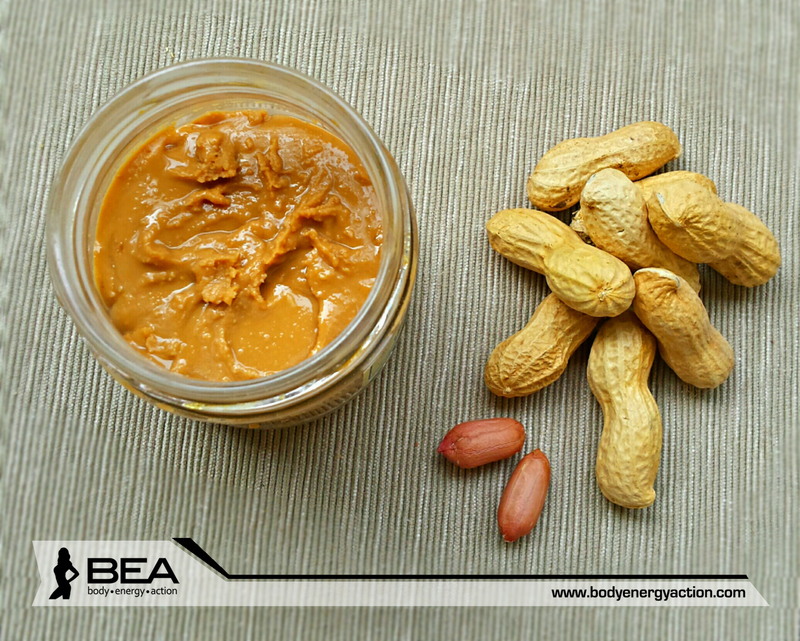 Transfer the peanut butter to storage container, and that’s it, the peanut butter can be used immediately. 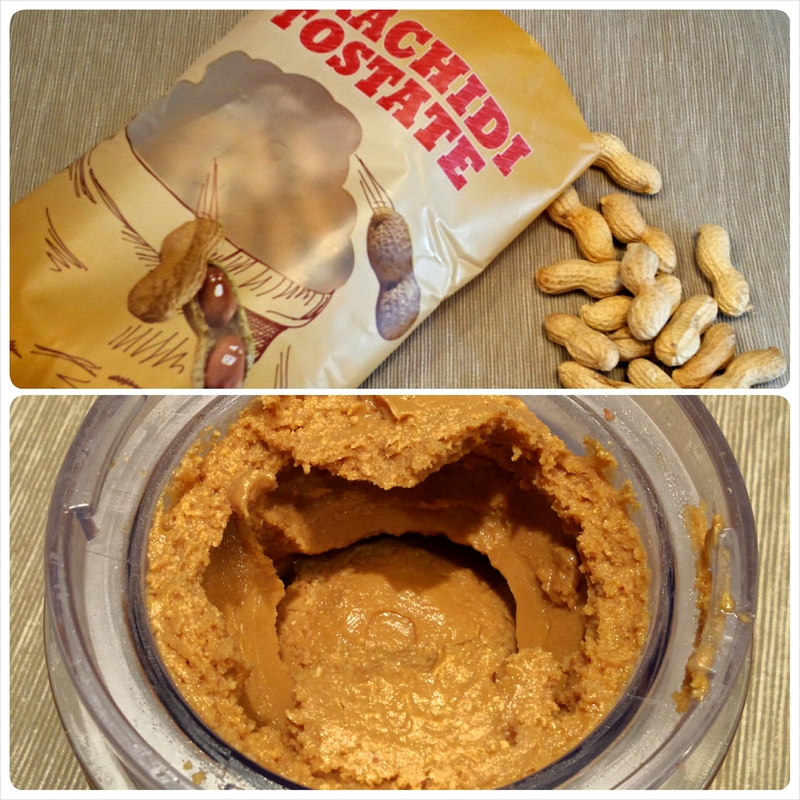 Crunchy: Pulse 1 cup of peanuts into the finished peanut butter for a crunchier texture. Here is the recipe of the delicious suffle I posted some time ago on my facebook. You can make these little muffins in maximum 15 minutes. 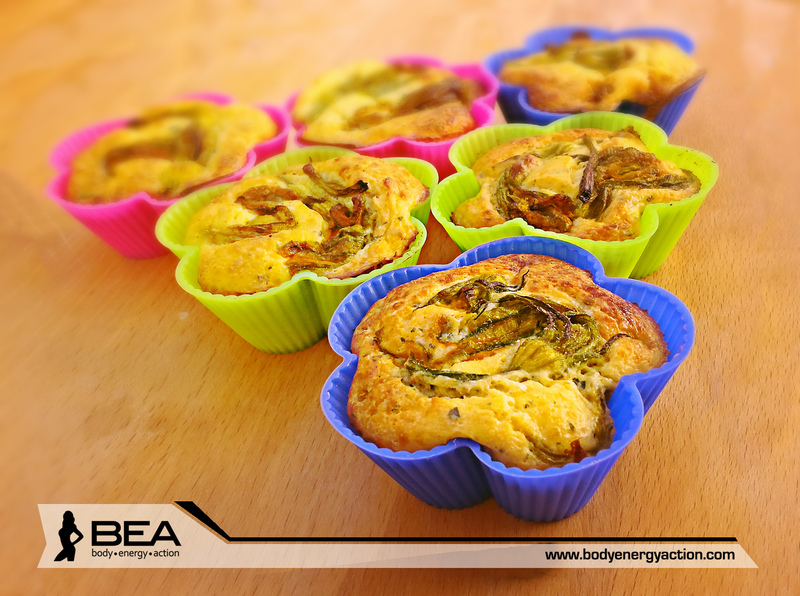 they are great for breakfast, but u can carry them with you as a healthy snack during the day. 1. Set the oven to 240°C/gas 8. 2. Place the ricotta and eggs into a food processor and whiz until the mixture has increased in volume. 3. Cook the pumpkin blossoms for 10 min on olive oil and a little garlic. 3. Pour into a large mixing bowl and fold in pumpkin blossoms, salt and pepper, parsley, the chickpea flour and the parmesan. 4. Pour the mixture in small muffin tin cups and then finish by sprinkling a little more parmesan on top. 5. Cook for 15 minutes, and you are done! 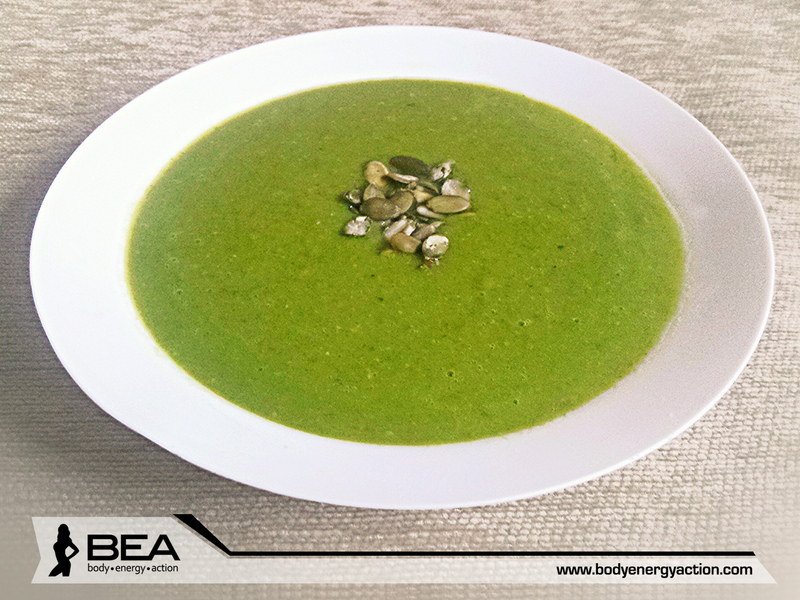 I have for you today a really healthy recipe that you can eat for lunch or dinner. 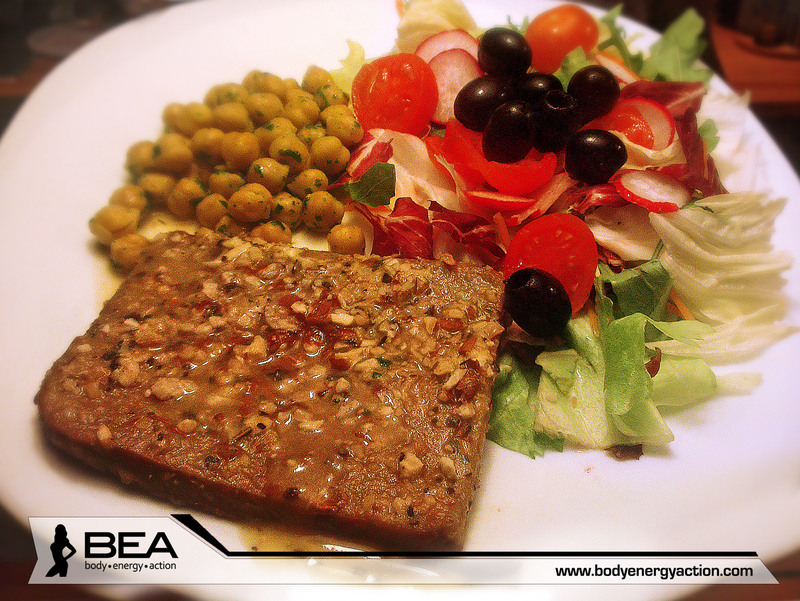 It is a specific vegetarian dish very rich in proteins and it contains all the essential amino acids your body needs. You can prepare it very quickly and you don’t even need to be a master chef to have a big success with this recipe. Warm up the oil in a pan put, the sage in it for 1-2 minutes, to give a flavour for the oil. Put the pre floured seitan slices in the pan. Cook for 2 minutes than turn them and cook the other part too on low heat. After they are cooked add the white wine and cook for another 5 minutes or till u feel the the alcohol from the wine evaporated. Turn the seitan slices again to absorb the flavours. After the wine evaporated put one glass of vegetable broth. Cook it till the broth becomes a little creamy and at the end add the crushed almonds. Serve it with with boiled chickpeas and a fresh salad. Have a good appetite and see you soon with other great recipes!